Depicts more than 1000 different plant species with photographs, and more than 200 related species are shortly described. The main source of information for the descriptions was obtained from the recently completed 15-volume “A revised handbook to the flora of Ceylon”. 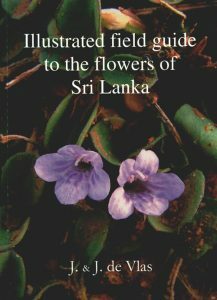 The goal of the authors is to provide a practical guide to the Sri Lankan flowers, with emphasis on herbs and shrubs that can easily be observed along roads and tracks. Volume two see stock id .